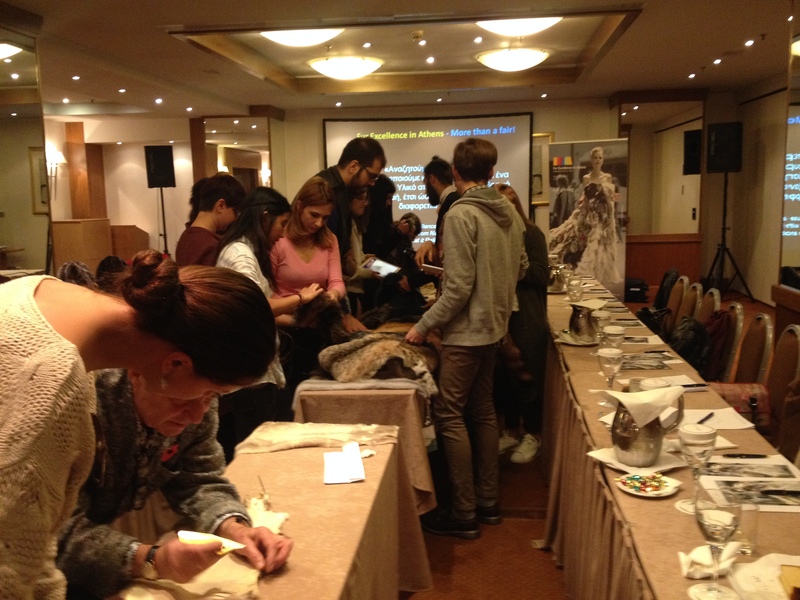 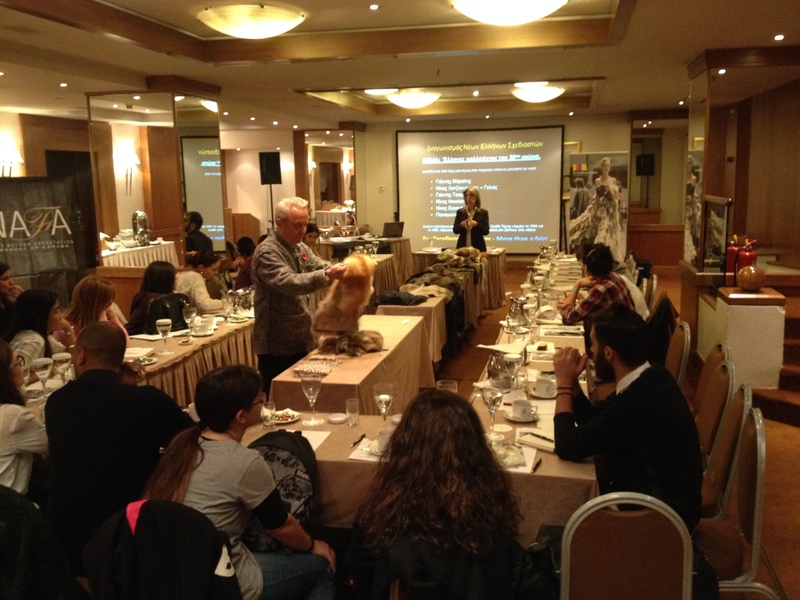 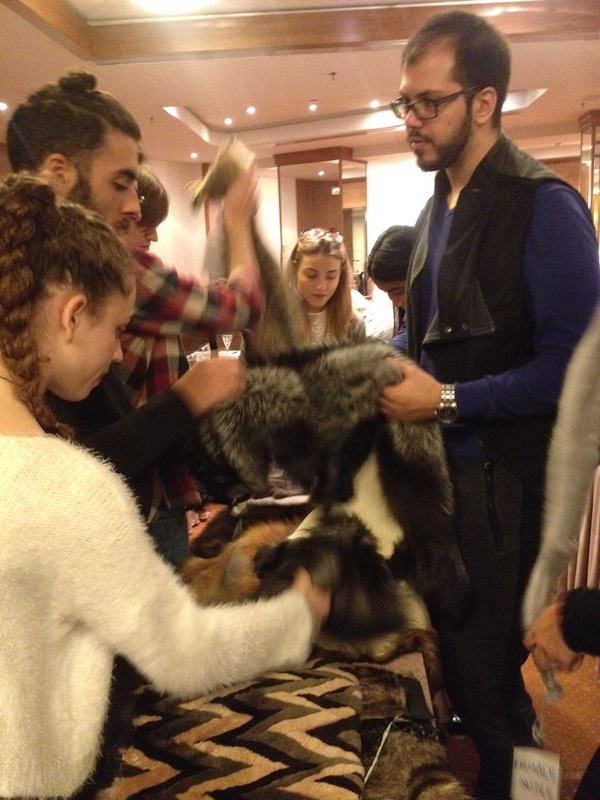 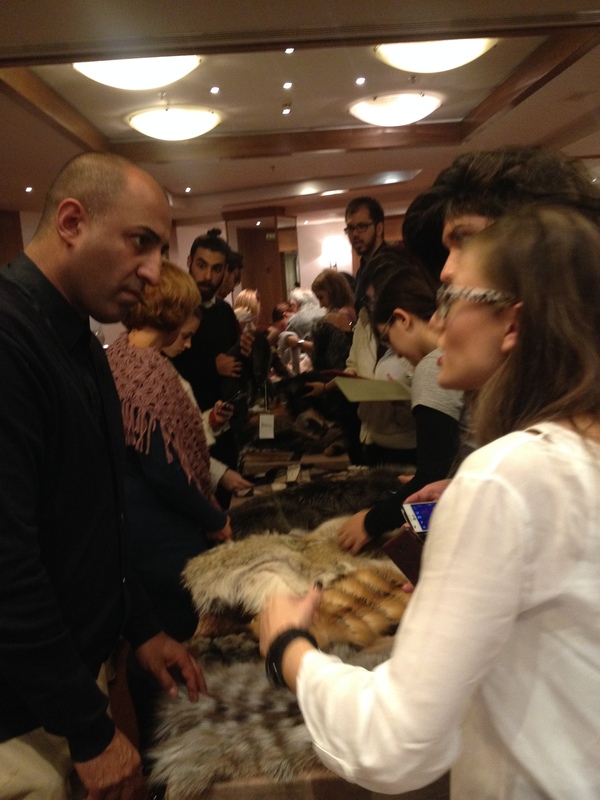 With pure curiosity and great interest students from several design schools of Greece attended “The Excellence of Fur” presentation that was organized by Hellenic Association of Furriers in cooperation with NAFA in Athens, at Golden Age of Athens Hotel, last Friday October 30th. 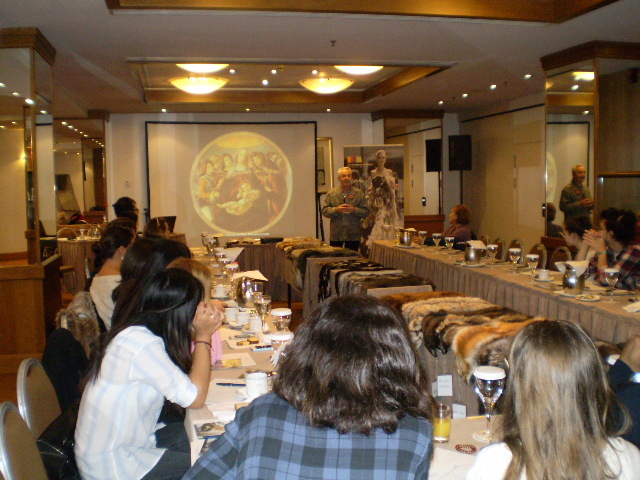 In order to become familiar with the industry and the unique material of fur, which will be used to bring into life their proposals to the Greek Young Designers’ Competition, all attendees were informed about the fur industry and its close relationship to fashion and design by HAF’s representative Mrs Aphrodite Zourla, who pointed out their opportunity to introduce themselves into a dynamic, extrovert industry. 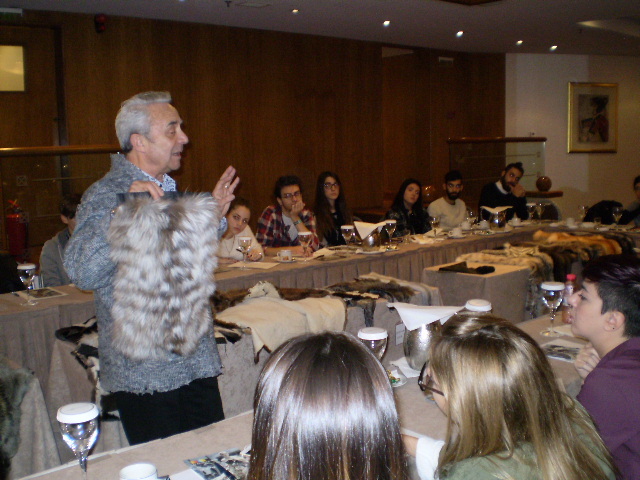 They were further given the chance to look and touch the different kind of fur skins that are used for the making of a fur garment while HAF’s advisory member to the board, creative director of Studio NAFA and professor at the Royal College of Art – London, Mr Basil Kardasis, intrigued their imagination by presenting all recent fur techniques that are developed at Studio NAFA’s Design Center with his unique, inspiring way. 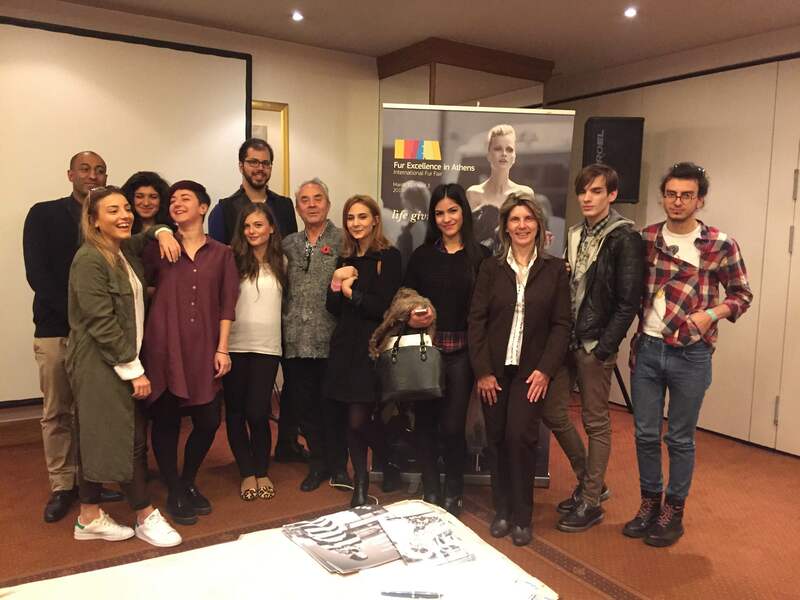 He urged them to activate their fantasy and freely create their proposals that they will submit to the competition until December 2nd. 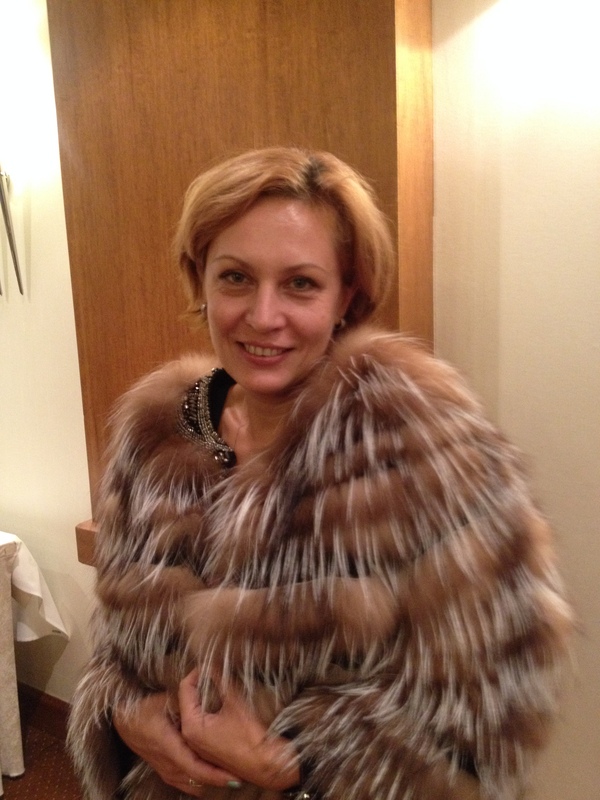 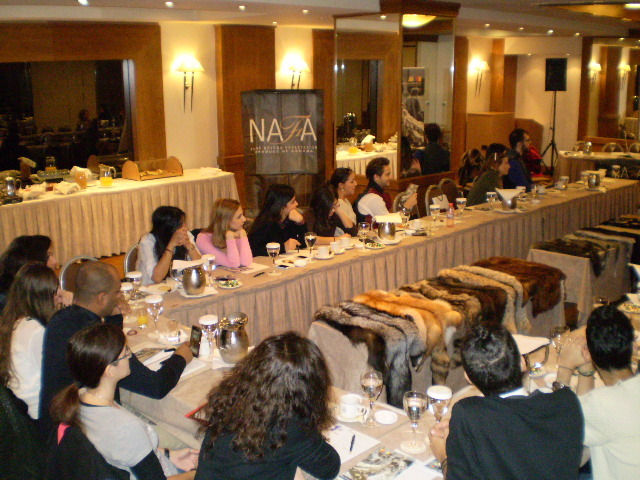 This presentation, was offered by HAF and NAFA within the framework of the annual Greek Young Designers’’ Competition of the International Fur Fair “Fur Excellence in Athens” which will take place from March 31 to April 3rd, 2016.